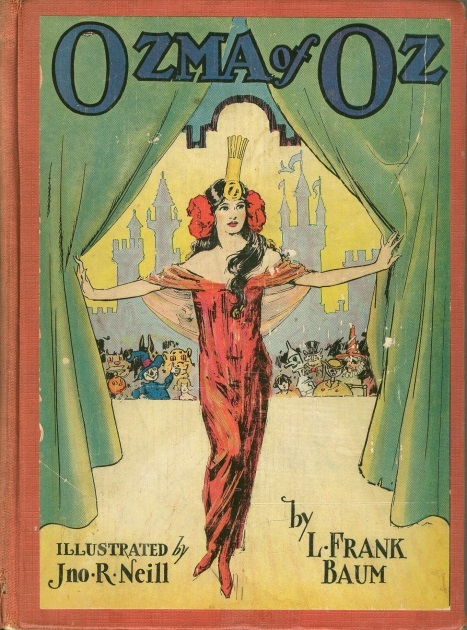 In second grade, I got in trouble for reading Ozma of Oz in class. I thought this was unfair, as I had finished my assignment. When I told my mother what had happened, she went up to school and told my teacher to let me read Oz. I was born in St. Louis, Missouri. My father sold agricultural chemicals. He was transferred so often that I went to twelve schools in five states before seventh grade. I didn’t like moving at the time, but I think it gave me a yen for travel. In fifth grade, I applied to be a contestant on a TV quiz show, “The $64,000 Question.” I claimed to be an expert on children’s literature, especially Oz. 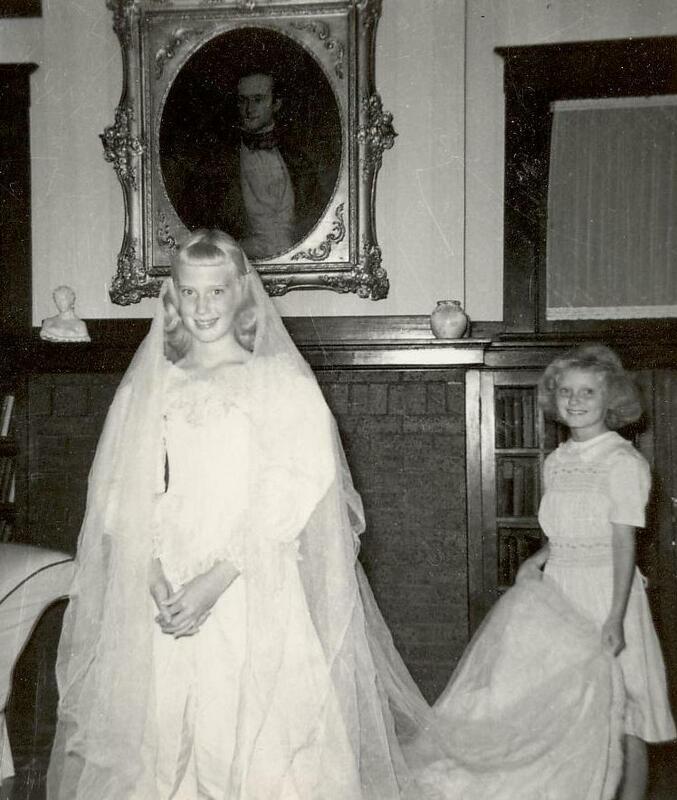 I enclosed a photo of me trying on my great-grandmother’s wedding dress. One morning, while I was eating breakfast in Omaha, Nebraska, I got a phone call from the show’s producer, asking me and my mother to come to New York so I could try out for a new children’s quiz show. It was my first plane trip. The TV producers asked me a lot of questions and I think I got the answers right, but I did not get to be on the show. They told my mother I was too tall for a child. She didn’t tell me until many years later, and we both had a wonderful time in New York. Our family loved to read. Whenever we moved, the first place we went was to the public library, where we checked out as many books as four people were allowed to take. My mother was a writer, so in each new place she joined writers’ groups. Her work was published in magazines and later in books. At the time, I didn’t realize how special this was. As I reached my teens, my father got promoted to sales manager and we settled in St. Louis, where my sister and I were glad to get to go to high school all in one place. 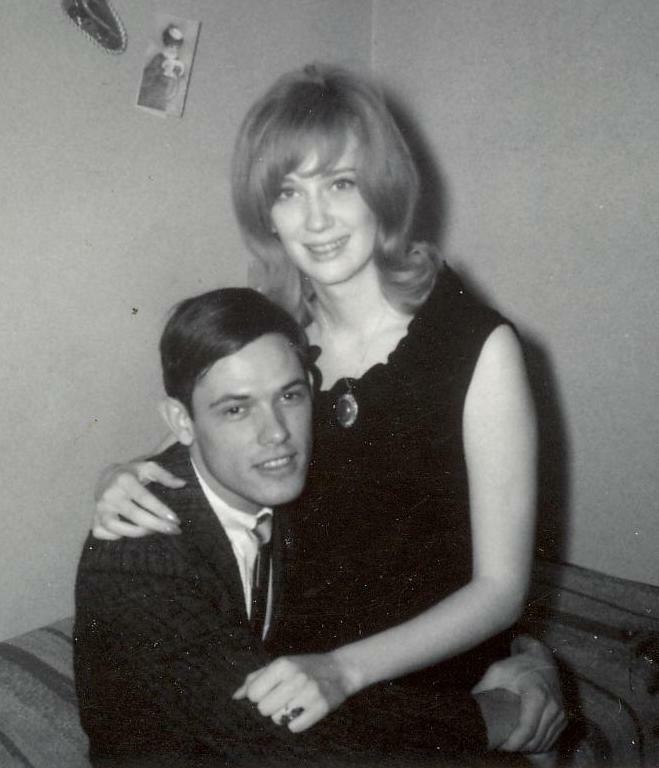 I met my husband Richard on my first day at the University of Illinois. I majored in French there because on the day I had to pick a major, I got an A on a French test and a B on an English quiz. It was a silly decision because I much preferred English and American literature to French. More bad luck: as soon as I got certified to teach, schools began to cut back on foreign languages. So I got a job as a bibliographic searcher at the university library in Boulder, Colorado. Richard was in graduate school there when we had a baby girl, Carey. In the late 1970s, I went back to school to get a master’s degree in library science and then I began working in public libraries. In 1982, I became director of the Palm Springs Library in Palm Beach County, Florida. 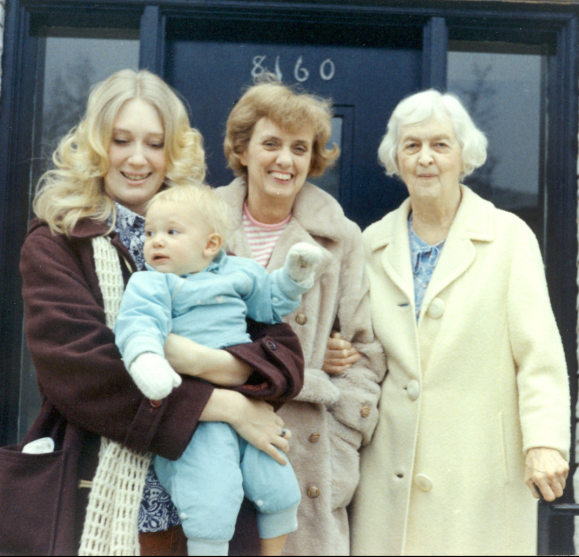 Four generations: Me, Carey, my mother Jean Starkel Shirley, and her mother, Anne Jenkins Starkel. When my mother retired, she moved from St. Louis to live near me in Florida, and so, for the first time in many years, we lived in the same town. 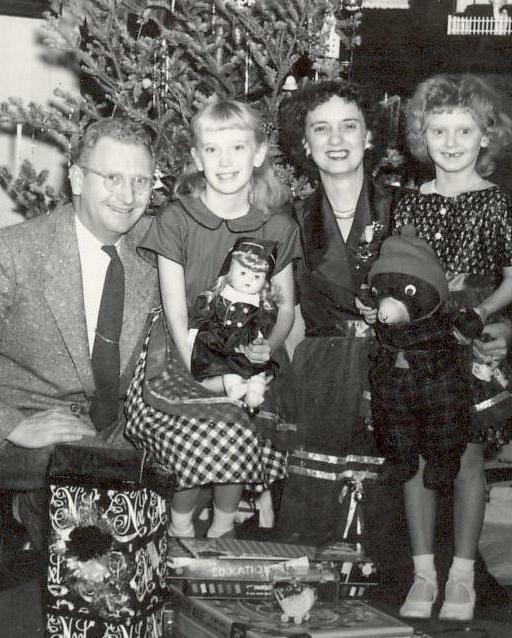 Mother founded the Florida chapter of the Society of Children’s Book Writers, as it was known then. Soon she and I began putting on author events together. Mother had brought with her to Florida a book called The One I Knew the Best of All by Frances Hodgson Burnett, author of The Secret Garden. This book was Frances’ autobiography of her childhood. Mother thought it would make a good basis for a children’s biography and she had made up her mind that we should write this book together. I resisted the idea for a time, but finally I read the book, decided that mother knows best, and started writing. Carey with Mother and me at the book launch party for Frances Hodgson Burnett: Beyond the Secret Garden. Mother and I had a wonderful time working together. We especially enjoyed classroom visits. People ask how I could write with my mother. I think it’s because she let me be take the lead, even though she was more experienced (by this time she had published four biographies for kids). 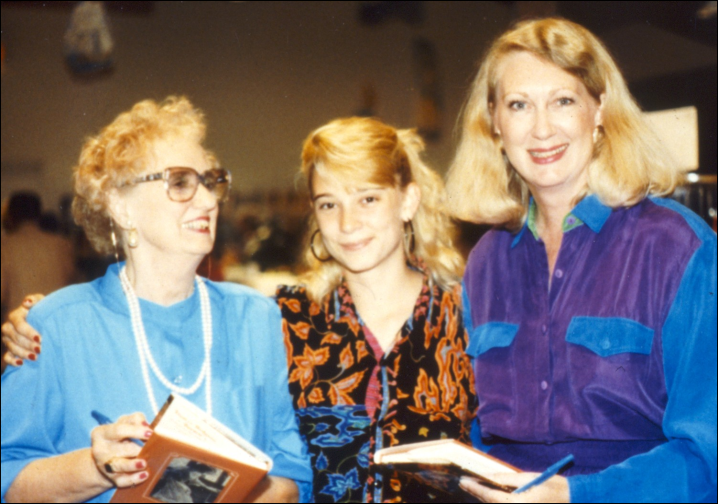 She knew how bossy I was (still am), and she let me be, while also teaching me to be an author. Now I am so grateful to her. I miss her every day. 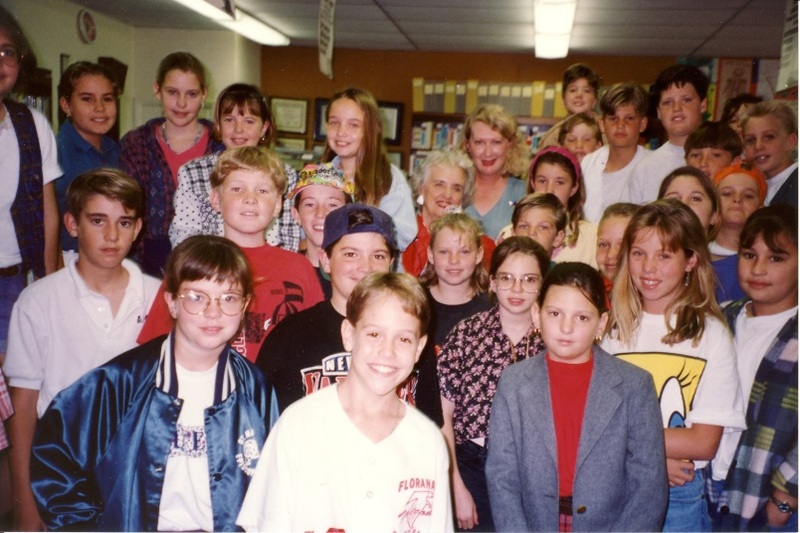 With a fifth-grade class in Ft. Lauderdale. 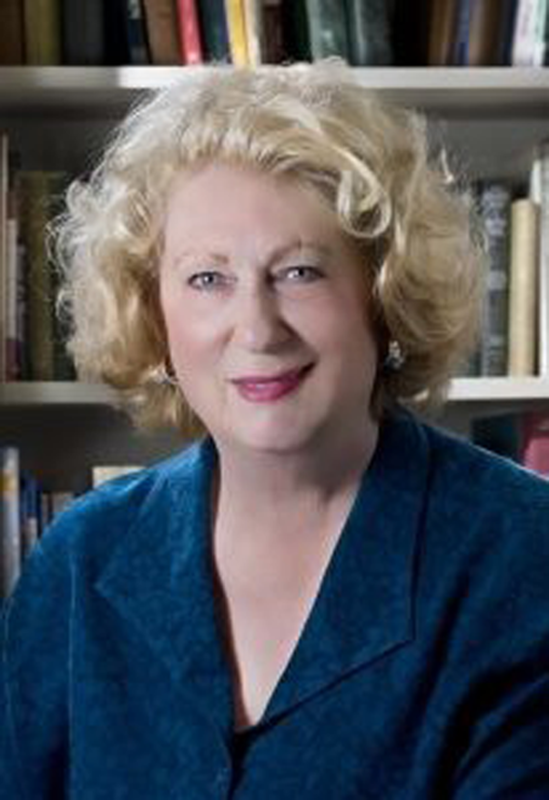 In 1999, Richard and I moved to Fresno, California, where I became the founding curator of the Arne Nixon Center for the Study of Children’s Literature at California State University, Fresno. This was my dream job—working with a huge collection of children’s books and the authors and illustrators who created them. 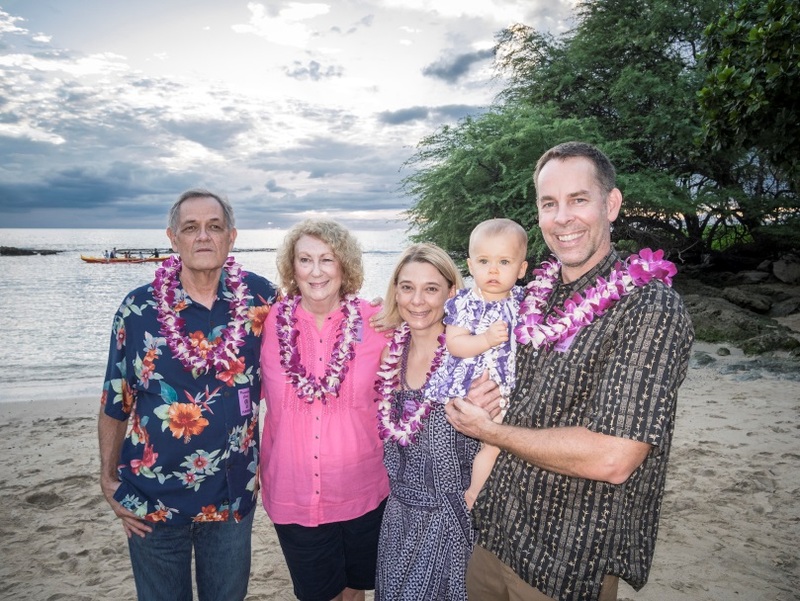 Now I am a retired librarian, a full-time writer, and a new grandmother. Our daughter, her husband, and their dear baby daughter live nearby in San Francisco. Somehow I never thought that the books I read and reread as a child (and still read) would shape my life and career, but that’s what happened. I love hanging out with readers, writers, illustrators, librarians, collectors, and other bookish types. I’ve met literary friends from different parts of the world through organizations like the International Wizard of Oz Club and two Lewis Carroll societies—one in England and the other in North America. Children’s literature has taken me to some wonderful places and introduced me to amazing people. I look forward to meeting many more. My papers, and Mother’s, are at the de Grummond Collection of Children’s Literature, McCain Library and Archives, University of Southern Mississippi.